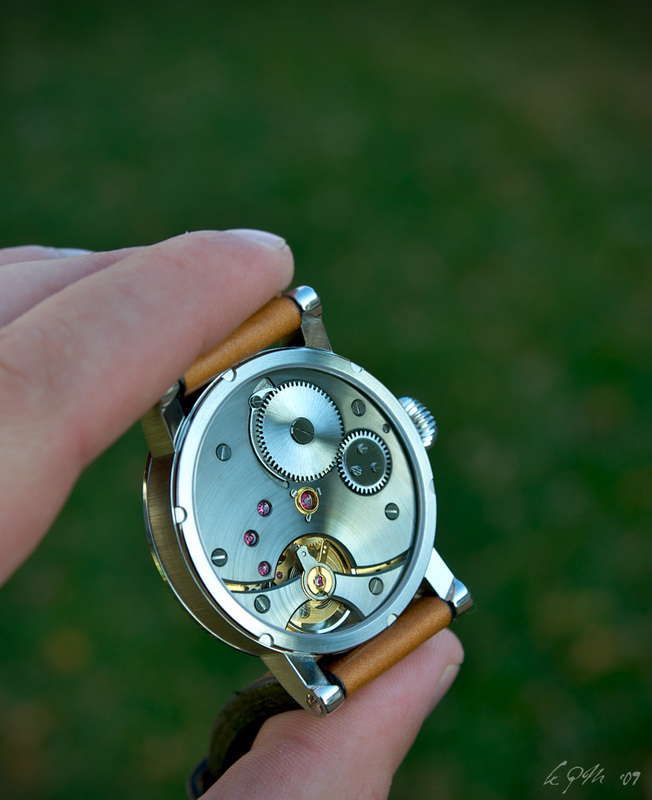 Hat tip to Ariel Adams for his article on How To Make Your Own Watch. Born in Oregon, Keaton Myrick learned watchmaking in Pennsylvania. He gained experience working for MKII before attending the Lititz Watch Technicum and becoming a certified watchmaker. After holding a position at Rolex USA, Myrick eventually opened his own workshop in Oregon and relates about it on the blog Horologically Tempered. He has been planning to manufacture watches by hand before an article in the local newspapers drew in an overwhelming amount of restoration commissions. 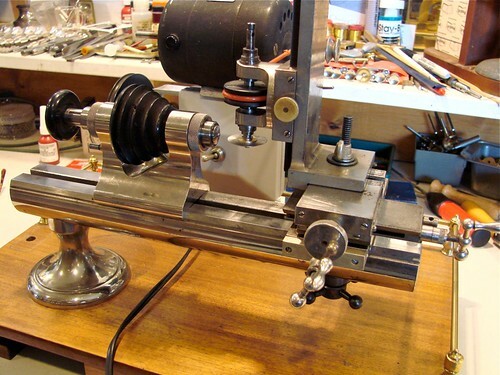 Lately, Watchmaker Myrick was working on a wrist watch based on his own movement design. Besides the minimalistic looks that makes extensive us of of finished metal surfaces, the watch reveal its true value through the transparent back that shows the manufacture movement designed by Keaton Myrick. The watchmaker has now set his mind on a pocket watch, which he will be posting pictures of soon. 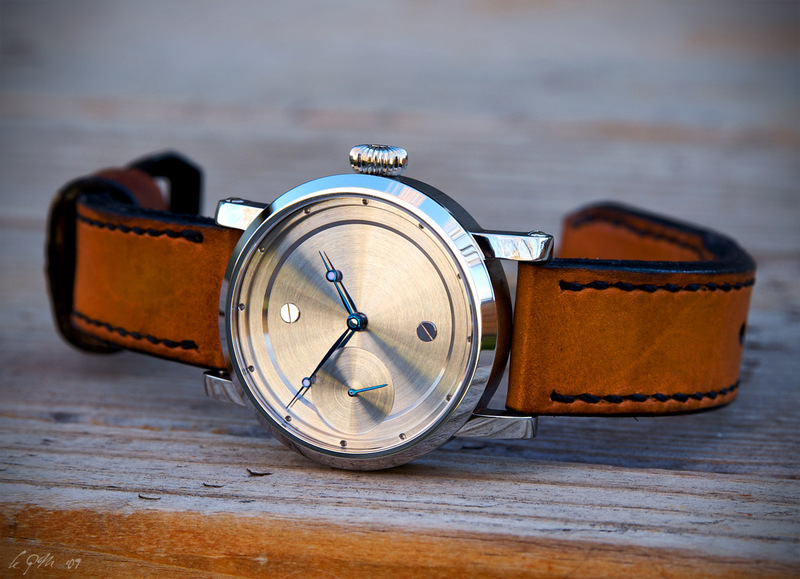 I am a watchmaking student from Seattle and admire his vision and dedication to design and produce his own movements. The balance bridge has a beautiful shape, and I’d love to see more pics of his movements. Keep up the good work. It’s amazing how a watch that appears so simple can be so innovative and visually stunning. Truth be told, I would get on the waiting list for one but that price tag is far too high for me.